My first, (and still only) geocache. A few steps east of Osaka International Peace Center. What the world deperately needs more of: PEACE. Unlike other museums in Japan dedicated to peace -- including those in Hiroshima and Nagasaki -- this one does not shy away from Japan's role in WWII. On the grounds of the Osaka Castle. Exit Number 1 of the Chuo Line Morinomiya Station. The cache contains a geocache log book and pencil. A little more room for other things. 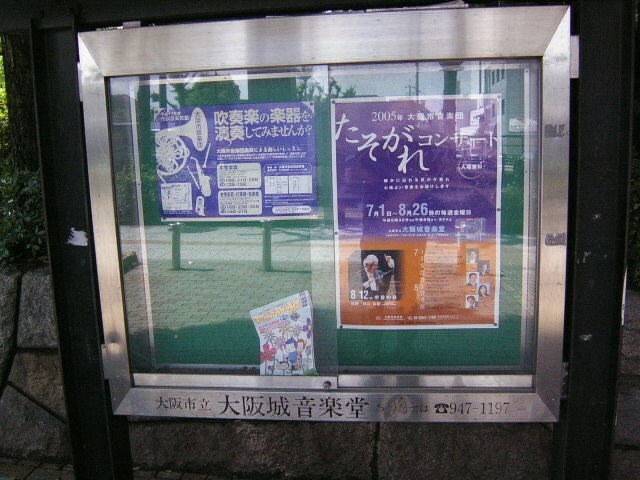 Immediately upon exiting the stairs of Number 1, on the right there is an information display. That`s where you will find. Congratulations to Captain.ron for the First to Find honors and to the helpful logs for the corrected & updated coordinates. Fyvqrf naq zbirf ohg pna`g or erzbirq. Chfu va, pbagragf npprffvoyr sebz onpx. To have traveled the world under the guise of peace. spoiler picHere is your search objective. 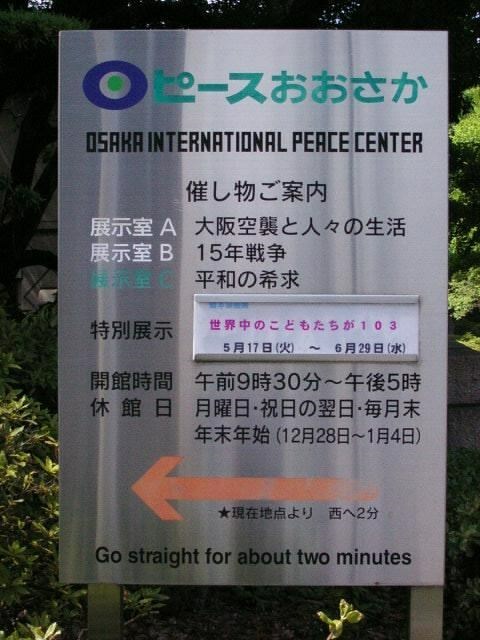 To the peace park.Sign 5 meters east of cache.